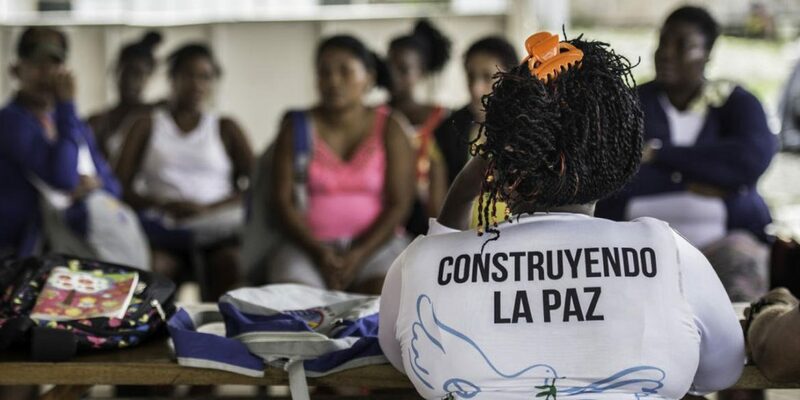 The implementation of Colombia’s peace process made progress since it began in late 2016, but has so far failed to positively affect the lives of citizens, according to an extensive study. “It has been a very persistent and resilient process, but has still transformed little. It hasn’t reached the people,” Borja Paladini of the Kroc Institute told press in Bogota on Tuesday. Particularly the chapters of the peace agreement that would benefit ordinary Colombians and victims of the armed conflict between the State and FARC guerrillas have so far been poorly implemented. For example, 45% of the agreements made on political participation and 40% of the agreements made to benefit victims have yet to be initiated, according to the report. The agreements made to counter drug trafficking also appear to be lagging behind, with only 20% of these agreements either being fully implemented or in an advanced state. President Ivan Duque, whose far-right party opposes the process, has slowed down the implementation of the peace deal, but has failed to halt or undo the effective implementation of it. Since the president took office in August last year, the implementation of an extra 16 agreements were initiated. During the same seven months before Duque took office, 81 agreements were initiated. The president has virtually stopped the implementation in regards to end of conflict, verification and rural reform, one of the primary causes of conflict that has been fiercely opposed by the large landowners in Duque’s inner circle. 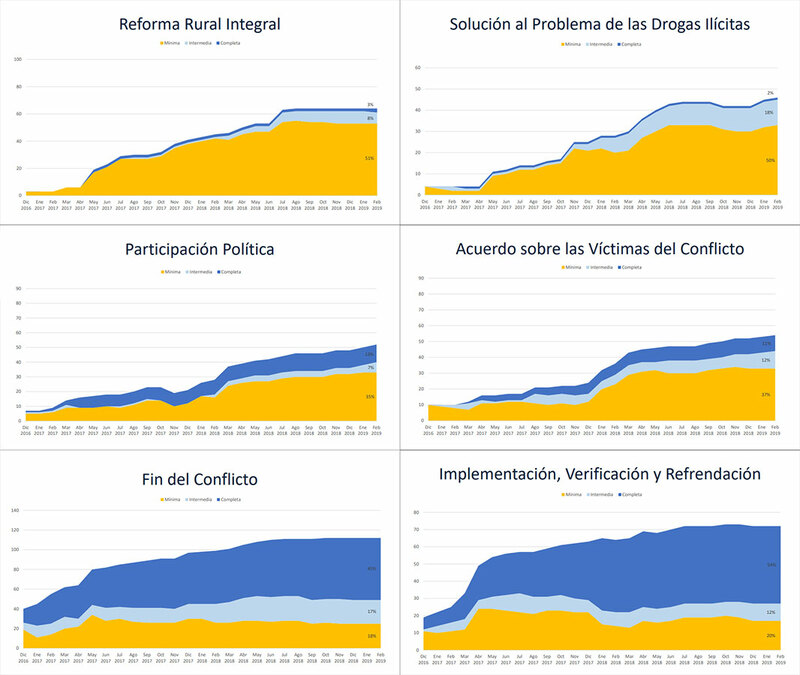 Agreements on political participation, victims and counter-narcotics did progress under Duque, albeit slowly. Like other international bodies, the Kroc Institute representative expressed his concerns about the ongoing killing of Colombia’s social leaders and former FARC combatants. “The security of the social leaders and former combatants should be improved. If the social leaders don’t feel safe, peace will not reach the [rural] territories, the people won’t take part,” Paladini said. The Kroc Institute scholar also urged to persist in the voluntary substitution of coca, the base ingredient of cocaine, and increase attempts to curb global use of Colombia’s most infamous export product and improve strategies to confront international drug trafficking organizations. It is necessary to continue strengthening the processes of voluntary substitution of crops, of prevention of consumption, but also with respect to how to generate an international dynamic that fights the drug trafficking chain more strategically. Lastly, “we need to reduce the noise” in the political debate on the peace process “and focus on the people’s quality of life,” the scholar said.